For an almost instant little after dinner treat I made these little chocolate truffles. No need to cook as you simply ladle a few tablespoons of Nutz Dark Chocolate Peanut spread out of the jar and into a bowl . Toss in some dried cranberries and knead until the dark chocolate peanut spread has softened a little and can be rolled into walnut sized balls. All that remains to be done then is to roll them in cocoa. I made a second small batch adding both cranberries and dark chocolate chips. They were just as nice, maybe even better, especially if you are a chocaholic. 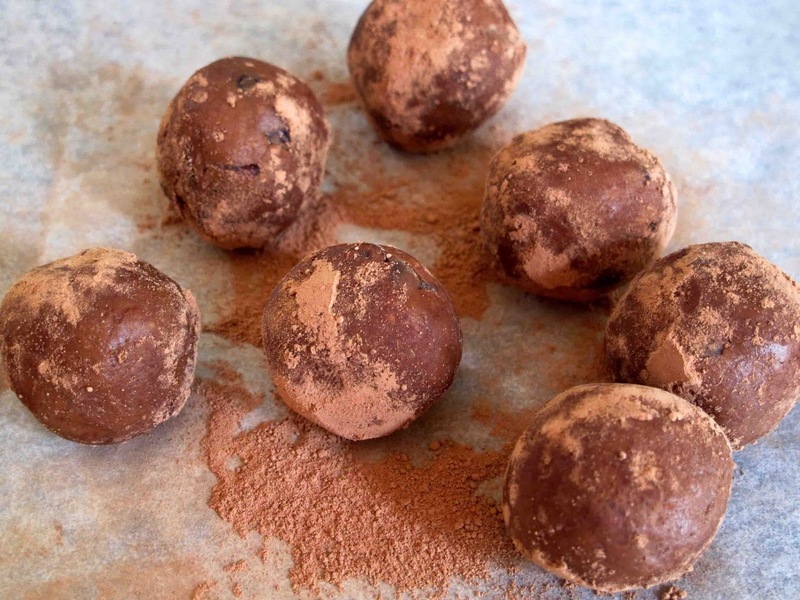 These truffles were a variation on the recipe which came with the jar. Here each was made individually by taking a teaspoon of the Nutz dark chocolate peanut spread , rolling it into a ball, placing it on a plate and rolling it through either desicated coconut or chopped nuts. So easy, and so good!